I was extremely excited to be attending Hair Rehab, London, Lauren Pope’s Award Winning Academy. It all started with my flight early on Monday morning. Arriving in London Heathrow on my own was nerve racking, however after getting the Heathrow Express then the tube to Sloan Square, I was beginning to relax (slightly! ), a short walk and I was there at the stunning Richard Ward Hair and Metro Spa. Our small group of 6 extremely enthusiastic hairdressers were excited to learn all the amazing new techniques on how to successfully apply and remove hair extensions the Hair Rehab way. 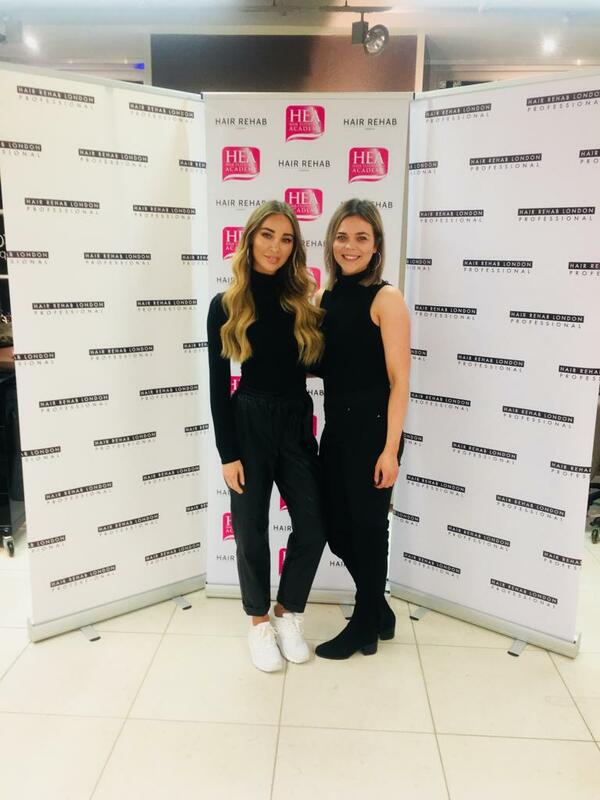 Half way through the day, I was so excited when the CEO and reality TV personality Lauren Pope came into the academy to answer any questions we had. She was so easy to talk to and so passionate about the hair extension product. During the day I quickly realised that the quality of the product was so great and I am really looking forward to bringing this to all our clients here at Mokha. Thank you to Vicky and Nicola for delivering an amazing course. PreviousPrevious post:October transformationsNextNext post:A Xmas night to try and remember!